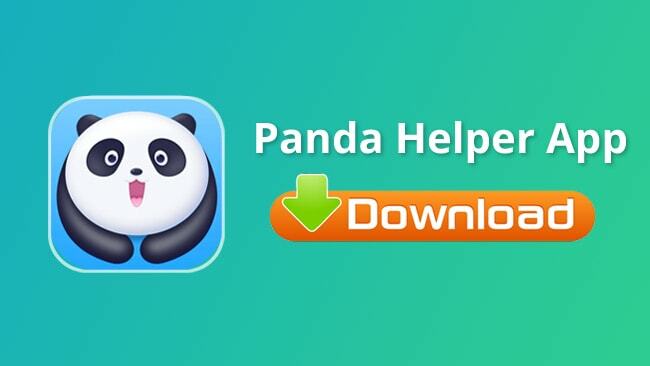 Panda Helper is the number-one third-party app installer in the world, the best source of unofficial modified apps and games, plus loads of other content. Moreover, it’s all for free without needing to jailbreak first; anyone can use it, and it’s super-easy to download and use. From Safari browser, go to the Panda Helper download page and tap Download. Tap Install on the Profiles page. On your home screen, you should see an Installation indicator – if it says, “Waiting” tap to start the installation. The app icon will show on your homepage once the installation is complete. Panda Helper VIP is the paid version of the app installer. A one-off payment gives you way more content than the free versions, along with being more reliable and stable. Moreover, it isn’t ad-supported like the free version is. Once you have made payment and the process is done, the app is ready to use – see here for the download details. This requires you to download the .apk file manually onto your device so follow these steps very carefully. Open Settings on your device and go to Security. Enable the Unknown Sources option so the file can download. Find the file on your device (Downloads folder) and tap to install it. Wait when it’s finished the Panda Helper icon is on your home screen. If you do NOT see the icon, you must repeat these steps carefully. App Store Apps – a massive choice of iOS apps and games including premium and paid, for free. Exclusive Apps – Cydia tweaks, ringtones, themes, emulators, screen recorders and more. Tweaked Apps – stock iOS apps tweaked to work differently. Modified Games – iOS games with extras plus in-app features unlocked. 3. Tap Panda Helper in the profiles list. 4. Tap Trust and try again – the error is cleared. Will My Warranty Be Affected by Panda Helper? No. Panda Helper works the same as any standard app, not requiring root access to the iOS as Cydia does. It doesn’t hack through the security on your device and downloads with the same permissions as an app store app. What may cause a problem is if you are using a tweak from the installer – don’t worry, if your device has to go to an Apple store for anything, delete the tweak first. Yes, because it doesn’t break Apple’s security, which means it isn’t opening your device to potential harm. Also, your Apple ID is not required during the download process, so Apple can’t track your use of the app and revoke the certificates. The developers also monitor the app and fix any issues that arise immediately, so be sure to install every update released. Yes, you can. You can post your request on the Twitter feed for the developers – give them as much detail as you can. They will try to get your app or game, but they do get a lot of these requests and cant always honor them all. Pus, not all apps and games can be added so don’t be too disappointed if yours doesn’t appear. You don’t have a thing to lose with Panda Helper. Not only do you not need to jailbreak, but you also have the choice of a free or a paid version of the installer for iOS and an Android version too. Plus its all free and if you can’t get on with it, deleting it is simple. Let us know what you think and follow us on Facebook for more tip and app recommendations.